Automating the search for solutions to engineering problems can take either of two broad approaches: design exploration or design optimization. Practitioners making technology choices need to understand which tools do one, which do the other, and which approach best fits their needs. A global roster of commercially available design exploration and optimization software appears at the end of this post. “Design Exploration is a particular way of arriving at an optimal design solution. To be formal, design exploration is the human-driven, often computer-assisted, divergent/convergent process used to evolve and investigate multidisciplinary design space with the intent of design discovery and to inform decision making throughout the design process. What does this mean for how the problem is formulated and solved? “Design Optimization depends on a well-posed optimization problem formulation, which generally includes (i) a well-defined objective function, (ii) inequality and equality constraints, and (iii) the expression of stakeholder preference, all of which are likely to be multidisciplinary in nature. In an arguably real way, such a problem formulation predefines the optimum solution, thereby allowing the mathematical rigor of the optimization to lead to the optimum design by an iterative, computational search. Most CAE vendors today offer a greater or lesser degree of optimization capability as part of their mainstream product lines. Through strategic acquisitions and development, some now boast notably broad and deep offerings. At the same time, some of the best-regarded tools continue to come from smaller vendors focused exclusively on optimization. 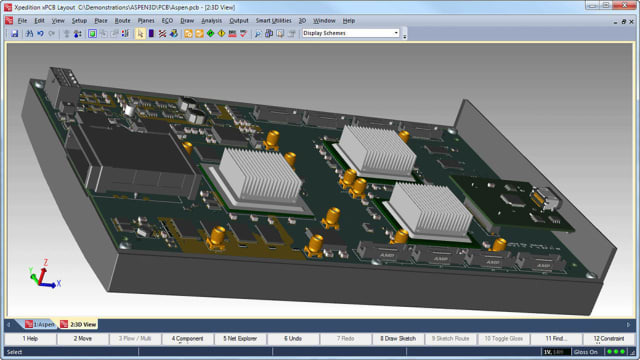 While not as many companies offer design exploration software, top-tier products are available from several major CAE vendors as well as a healthy number of providers dedicated to this space. Engineering organizations contemplating a purchase should weigh their functional requirements against considerations of existing technology investments and vendor relationships. Below are software products we’ve identified in each of these domains and classified according to our understanding of their primary function. It bears emphasizing that varying degrees of optimization capability are provided by most design exploration tool suites, even though we have not repeated the names of those products in the design optimization category following. In future posts we’ll look at the role in design exploration and optimization of systems modeling technology from Comet Solutions, Maplesoft, The MathWorks, the Modelica Association, Modelon, the NPSS Consortium, OMG SysML, OpenModelica and Vitech, and 0D/1D simulation tools from AVL, Ricardo and others.